Let’s face it: Absolutely EVERYBODY is on Facebook these days. For years and years, there has been a constant demand for human connection and interaction. The “Facebook” revolution is just another means for us to satisfy that desire to connect with everything. Use this to your business’s advantage by setting up your very own Facebook Business Page and start expanding your business’s network. Here’s a quick Facebook Business Page Setup 101 to help you get started. First off, you have to establish your Business Page’s name. It is ideal to use the name that is most familiar to your fans and your market. Also, if your company is present on other social media platforms like Twitter and YouTube, it would be best if your page’s names are consistent across multiple platforms. This will generate a sense of familiarity with your fans. We advise that you just stick with your traditional company name. You can find instructions on how to change page name here. You should know that the people at Facebook has provided your company with the awesome option of picking out your own page’s URL. You should design your URL to be short and easy to remember so it becomes more accessible to fans and markets. Again, you can’t go wrong with using your company’s name. Consistency is key! You can find instructions on how to create username here. Now, it’s time to upload your company’s profile picture. As it is with names, your profile pictures should be consistent with your other social media pages, should you have any. Pick a picture that people can really associate with your brand. An official company logo will serve just fine. 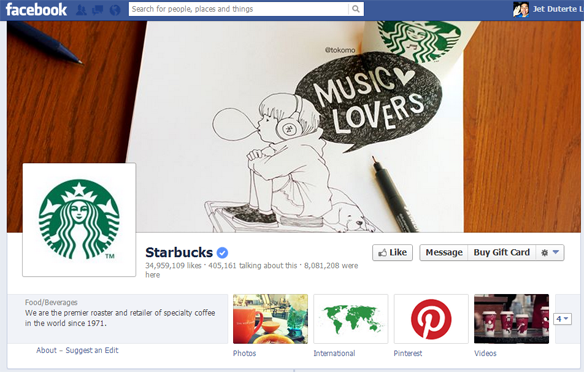 See an example from the Starbucks Business Page below. Anybody can recognize that image at a single glance. You can find instructions on how to add or change profile picture here. Instructions on how to add or change cover photo here. Your visitors can privately message you from the fan page by clicking on the Message button located next to the Like button on your timeline. This is a great opportunity when your fans might want to ask questions to you, without necessarily having to discuss them publically. Instructions on where to find messages to your page here. Write a short description of what your business/company is all about. Try to sell yourself the best way that you can in a short and concise, but engaging manner. 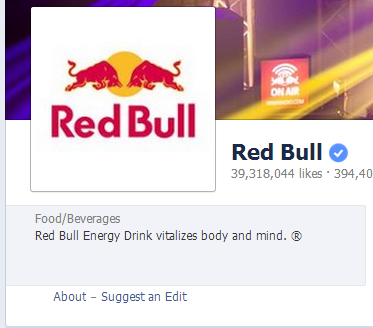 Red Bull has one of the most popular Business Pages on Facebook. Check out their simple, and direct-to-the-point “About box” section. Instructions on how to change the information in about box here. When visitors click on the About Box below your profile photo, they’ll be directed to your About page. This is the page that Google and other search engines will index, so it’s important that you fill it out completely. Include all necessary key words, information and links to your website & other social media presence. Branch Out! 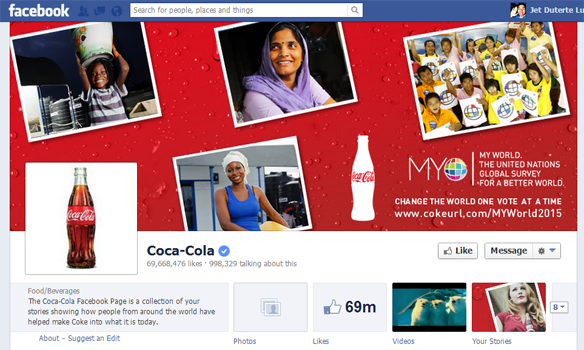 – Start promoting your Facebook page by sharing it and inviting your fans to like it. What good are your posts when no one can see them, right? Post Visual Content – Studies have shown that pictures, photo albums, and videos are more likely to go viral as compared to text-heavy posts. Keep Your Texts Short – When Facebook users are browsing through their News Feeds, they are actually just skimming through content. Try not to go overboard with your text posts because these are unappealing. Schedule Your Posts – It’s a really simple and efficient way of managing your business page’s posts. Don’t know how to do it? We’ve got you covered. 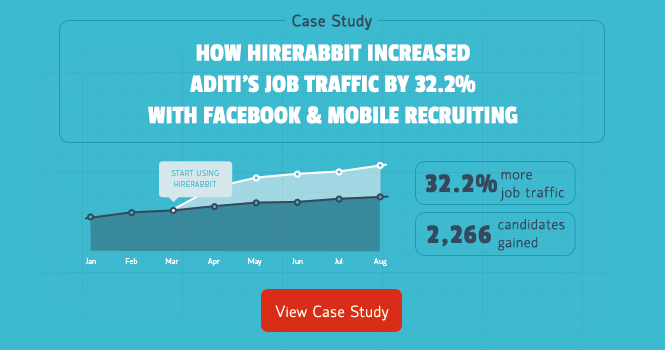 Check this article about scheduling Facebook posts. Utilize Facebook Ads – If you have the means for it, don’t be afraid to avail of Facebook’s promotion services. It’s a great way of getting your company’s page out there. Engage With Fans – If fans comment on your photos, ask questions on your timeline, send you private messages, it’s advisable if you respond to them the best that you can. It establishes a more personal bond with your fan base and improves their perception of your company. Run Promos/Contests – Facebook is all about connecting with people right? Why not connect with them in a fun way by running promos and contests on your page? It’s a great way for you to interact with your fans while advertising your products and services. Take advantage of this opportunity! That’s just about it. If you find that you have any tips on how to manage your Facebook pages, feel free to share them in the comments section below. Good luck!